We are living in an era of peak horror on TV. Right now it’s fair to say that horror on television is thriving in a way that mainstream theatrical horror is not (VOD is another story). Creating a top 5 TV list was incredibly easy. and it would have been just as easy to create a top 10 list. There’s a lot worth mentioning that isn’t in the top 5. This viewer gave up on The Walking Dead after four seasons. Other than stellar makeup effects, that show is an insanely overrated mess. There are also a handful of shows I haven’t seen, like iZombie and Ash vs. Evil Dead. Finally, there are the worthy shows that just missed the cut: France’s eerie and haunting The Returned as well as slight, not-quite-scary but extremely fun shows such as Grimm, Sleepy Hollow, Scream Queens, Scream: The Series, and The Strain. All have issues but are definitely worth watching, even if they don’t rise to the very top, as the following do. 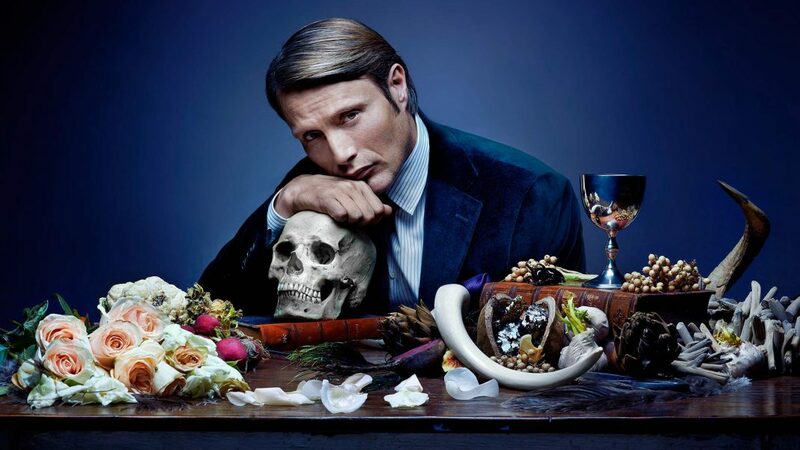 Hannibal is one of the best shows of the year. Stunningly beautiful, wickedly grotesque, remarkably acted, and incredibly gory, there has never been anything quite like it, and the fact that it aired on NBC is a little mind-boggling (and it’s hardly surprising that it was canceled). Its three seasons are nearly perfect. It stayed true to the characters while diverting from the source material in interesting ways. This show would make your draw drop at least once per episode. It will be missed. If you haven’t watched it, drop everything and binge it immediately. It was easy to have low expectations for Bates Motel. The world didn’t need a Norman Bates origin story (just as it didn’t need one for Michael Myers), and A&E isn’t exactly known for producing must-see TV. But this is an excellent show, and its third season was its best yet. Freddie Highmore and Vera Farmiga are absolutely outstanding as Norman and Norma, and the show itself expertly mixes funny and weird. 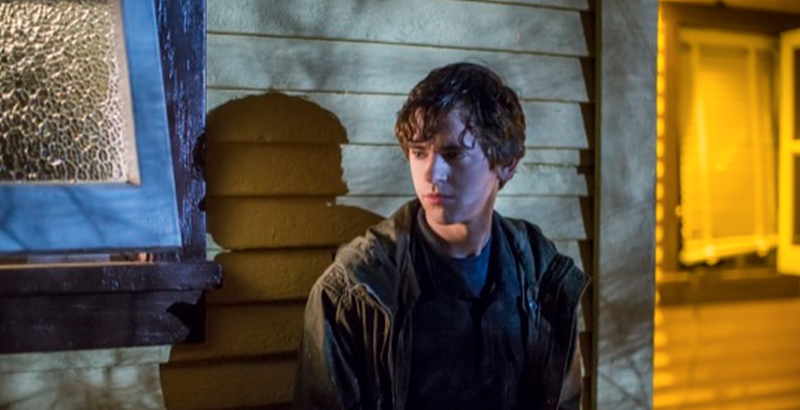 Against all odds the tale of teenage Norman Bates is gripping television. 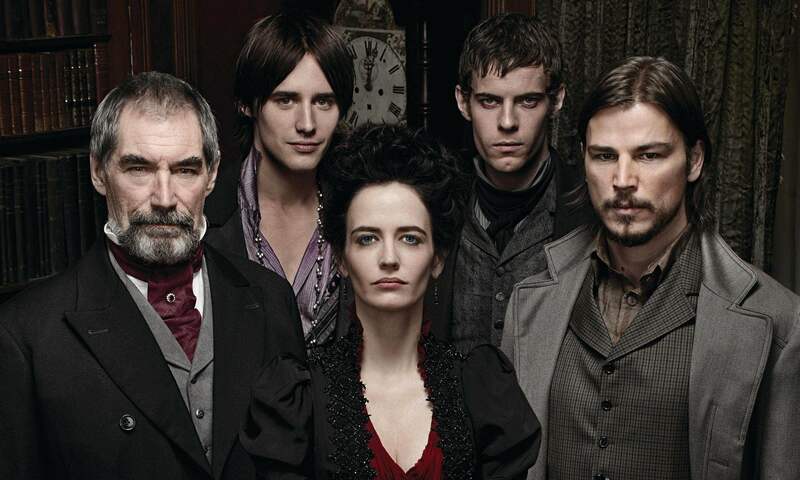 Is anyone watching Penny Dreadful? It seems to be completely under the radar, which is a shame, because it is a really good show. Eva Green is giving one of the best performances on television, and the supporting cast is nearly as good (even, somewhat surprisingly, Josh Hartnett). It’s appropriately dark and at times pretty horrific, but also amazingly beautiful and even moving. The sets and makeup effects are top-notch, and it effectively breathes new life into familiar characters and stories. Wayward Pines seemed like it would be good summer viewing: not too demanding, easy to watch, and hopefully better than Under the Dome. It actually turned out to be a lot better than that. Matt Dillon is a great protagonist, and the supporting cast is one of the best on TV (Melissa Leo, Terrence Howard, Toby Jones, Carla Gugino, Hope Davis, and many more). It has a solid central mystery, some genuinely startling twists, and like Bates Motel does a nice job balancing laughs with the bizarre. The fifth season of American Horror Story is one of its best, thanks partly to Lady Gaga (not something I ever imagined writing). She’s perfectly cast in AHS: Hotel, right at home in a Ryan Murphy show, and as per usual the entire cast is exceptional. Like other seasons this one has had its bumps in the road, but the setting is great and the gore is plentiful. At this point you pretty much know what to expect from this show, but there’s hardly ever a dull moment, and it still has the power to deliver shock and awe. Previous ArticleBlu-ray Review: Cooties is A Mixed BagNext ArticleGiveaway – Win a Blu-Ray Copy of The Visit! Is It Just Me, Or Was Hannibal’s Third Season Its Worst?